After years of journeying through musical seas and oceans, Lee Pui Ming has found home in open improvisation. The choice of “open” is deliberate so the performer and the listener equally partakes in the thrill of something coming to form, taking shape, finding voice and expression. Every moment is witness to Life’s play. 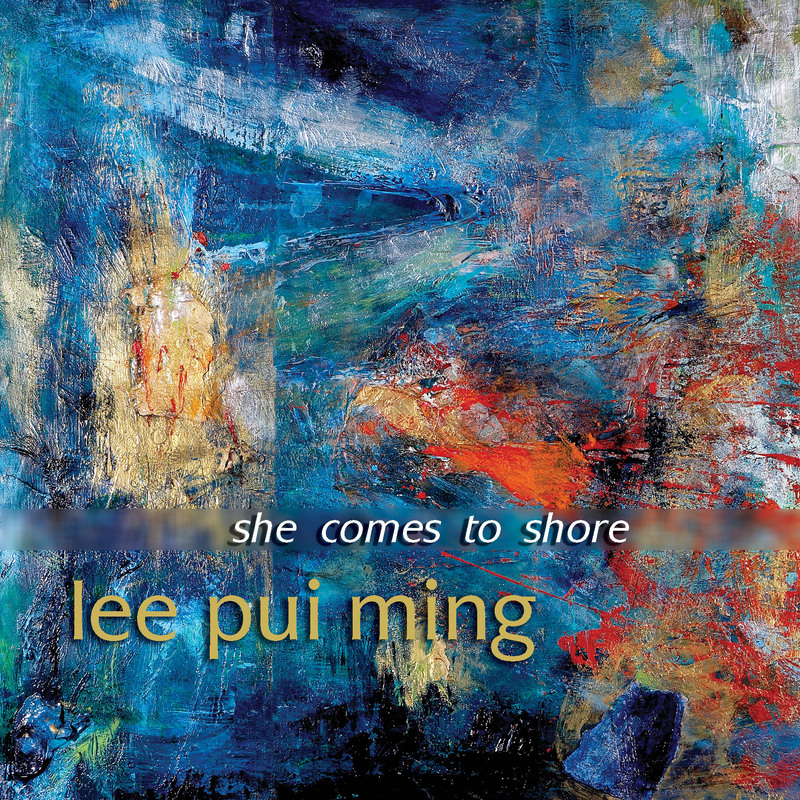 "she comes to shore" is a sharing of these moments in solo improvisations, and a concerto for improvised piano and orchestra which also showcases Pui Ming's work as a composer. Lee Pui Ming has been hailed as "the most unique genius to touch a keyboard in Canada since Glenn Gould" (Harry Currie, Kitcher-Waterloo Record). Mark Miller from The Globe and Mail describes Pui Ming as "a performer of uncommon imagination and intensity". In this album, one hears the artistry of someone who has clear influences from classical music, jazz, and curiosities in sonic exploration. Yet equally clearly, one meets an artist who has transcended genres, creating a language of her own. In the end, even the language is there simply to point - to spaces and experiences that only the listener knows. From live performances, audience members have expressed thus: "(The concert) vibrated as big as the universe that is my body mind. Outrageously beautiful;" "An inspiring journey for body, spirit and mind;" "Riveting and mind altering." Born and raised in Hong Kong, Lee (surname) Pui Ming (given name) received undergraduate and graduate education in piano in the United States. She made Canada her home in 1985 and has since received recognition for her work through The Freddie Stone Award and The K.M.Hunter Artist Award. "she comes to shore" is her sixth recording. It also marks the premiere recording of the New Jersey-based Bay-Atlantic Symphony. "In the first [movement], lush string textures are overlaid with a complex filigree of tintinnabulation from the piano. The second movement is much more dramatic with roiling and pounding from both the piano and the full orchestral forces. This gives way seamlessly to a gentle and extended cadenza in which the piano is eventually joined by a soaring Hollywood-like orchestral melody, primarily in the strings. This piece has been something of a guilty pleasure to the modernist in me, but it is so gorgeous that I have found myself indulging time and again." "[T]he musicianship here is more on the sensitive and personal side. Lee Pui Ming’s technique and imaginative inventiveness cast a wide net, and there is always an underlying sense of direction and structure in her improvisations. "[T]he actual musical content turns an interesting idea into a fascinating and emotive work, provided with effective climaxes and a good deal of structural integrity. Imagine something a bit like Gorecki’s Symphony of Sorrowful Songs adapted to make a richly textured piano concerto and you might have some idea as to what to expect from the first movement … The second movement is a darker affair, with, after a gentle introduction, the string sonorities punctuated by stabbing low brass and close clusters from the piano. Throw in percussion and we’re in cinema land, a cataclysmic event of some kind putting us all in extreme peril. The final movement is a resolution and rescue from this turbulent central section, more lyrical material creating a serene landscape of high mountains and a calm sea. "This CD is well recorded and highly involving and entertaining, showcasing the remarkable talents of a fine musician at their best … such personal and emotively charged statements deserve respect, and have certainly gained my admiration." "What we hear here is vintage Pui Ming: rocking back and forth between romance and intensity, coupling a classical precision on the keyboard with a seemingly effortless flow of improvisational ideas. The works themselves, while predominantly improvised, display clarity and precision that employ the best of the twin avatars of major piano work: classical and jazz … This is an impressive series of works from one of the best." Proprio come il bel dipinto che campeggia in copertina, la musica della compositrice Lee Pui Ming contenuta in questo nuovo cd Innova è classificabile come espressionismo astratto. Dove lì ci sono macchie di colore acceso spruzzate e schizzate sulla tela, qui ci sono colate laviche di suoni incandescenti che si riversano violentemente sull’ascoltatore. La matericità delle improvvisazioni pianistiche della Ming è talvolta smorzata da momenti di intimo lirismo, in relazione all’ispirazione dell’autrice-performer, senza tuttavia che si arrivi a un qualche barlume di narrazione. Di trama si può però parlare nel brano che dà il titolo al cd, She comes to shore, un trittico per orchestra e pianoforte solista, dove la prima esegue una partitura scritta che fornisce un appiglio armonico e ritmico cui le improvvisazioni pianistiche della solista si aggrappano, addirittura abbandonandosi, nel pannello conclusivo, in un inaspettato e sognante romanticismo.